The Cricket Club area was originally settled by a Scotsman named Andrew McGlashan who settled here with his family in the early 1800’s. The McGlashan’s operated a tannery on the south-west corner of Yonge Street and York Mills Road up until the 1860’s. In 1876 the McGlashan property was purchased by Andrew Bathgate. Bathgate’s heirs sold the family homestead in 1907 to William George Gooderham the owner of the Gooderham and Worts distillery.Gooderham fortuitously discovered a spring of fresh water on the Yonge Streethillside of his property where the York Mills Gardens apartments are now located. He then set up Mineral Springs Ltd., whichbottled and sold this water around the world up until the 1920’s. Gooderham played a key role in the residential subdivision of this neighbourhood during the early 1900’s. He also helped formthe Toronto Cricket Skating and Curling Club which opened in 1925 and has been a neighbourhood landmark ever since. The Cricket Club neighbourhood is an established family oriented community. The local residents display a pride of ownership that can be seen on the manicured lawns and pretty gardens found throughout this neighbourhood. There is a relaxed, country charm ambience here thanks to an abundance of mature trees and the fact that many of the streets do not have sidewalks. 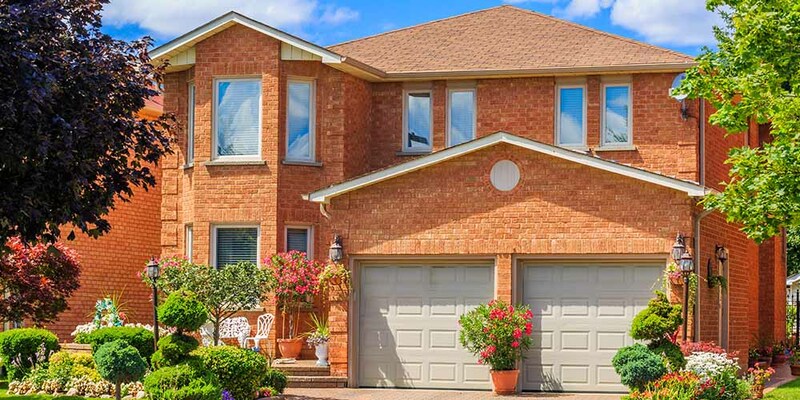 Cricket Club homes are in great demand because of all the amenities that this location has to offer including upscale shopping districts, excellent schools, and close proximity to public transportation and to Highway 401. The Cricket Club neighbourhood contains a nice mix of housing including two and three bedroom bungalows, Tudor and cottage-style two-storey houses, and larger Georgian-style homes with spacious centre hall plans. All of the houses in this neighbourhood have private drives and the lot frontages are generous, varying in size from thirty to fifty feet. The majority of Cricket Club homes were built during the 1920’s, 1930’s and 1940’s. These houses include many decorative features such as pretty bay windows, hardwood floors, fireplaces, french doors, wood trim, and built in cabinetry. Cricket Club residents enjoy some of the best shopping found anywhere in Toronto, along Yonge Street and on Avenue Road. The shops, restaurants, and professional offices on these two streets are located in small two-storey brick buildings that blend in nicely with the residential tone of this neighbourhood. The shopping mix on Yonge Street and on Avenue Road includes designer clothing stores, home furnishing and decorating stores, hairstylists, beauty salons, children’s clothing and toy shops, video stores, antique shops, art shops, gourmet coffee shops, bakeries, gift shops, hardware stores, banks, convenience stores, supermarkets, drug and health food stores, dry cleaners, fast food outlets, fine dining restaurants and professional and medical offices. The Province of Ontario has identified five Urban Growth Centres in the City of Toronto. They are: Downtown/Waterfront, Scarborough Centre, North York Centre, Etobicoke Centre, and Yonge-Eglinton. Yonge-Eglinton in North Toronto has been identified as such thanks to its excellent public transit access where jobs, housing and services are all concentrated in a dynamic, mixed-use setting. Yonge and Eglinton affectionately referred as “Young and Eligible” has been an important intersection for over a hundred years. This area was originally part of EglintonVillage, which amalgamated with DavisvilleVillage to the south and North Toronto to the north to form the Town of North Toronto in 1890. The Town of North Toronto was annexed by the City of Toronto in 1912. The City of Toronto planning division has identified the Yonge and Eglinton intersection as having potential for new development through infill and redevelopment of key sites, including the TTC Eglinton Bus terminal lands. Lower-scale development along Eglinton Avenue further from the intersection is also planned; mixed-use residential with street-level retail is recommened. The subway station is also slated for improvements, as is an overall enhancement of the streetscape. The northwest quadrant of the Yonge-Eglinton intersection is occupied by the Yonge Eglinton Centre, a mixed-use retail and office complex built in the 1970s that has long been a landmark and pillar in the North Toronto community. Upgrades to the open-space pedestrian square of the Yonge Eglinton centre are contemplated and under review with input from the community. The northeast quadrant of Yonge-Eglinton has more of a main-street village feel with two-storey commercial buildings. One larger building with a set-back for an open-space pedestrian square has been suggested for this corner. The southeast quadrant has already been transformed by the recently built Minto Midtown project, which consists of two residential towers with retail. The open space between the two buildings is designed to improve pedestrian space in the area. The southwest quadrant is largely occupied by the TTC Eglinton bus terminal lands, which the city has targeted for public realm improvements, better public transit infrastructure and new park space. Also notable is the redevelopment of North Toronto Collegiate (east of Yonge Street between Roehampton and Broadway). This historic school is being rebuilt with a new playing field and will open in 2011. “The Republic” condominium development abutting the new school has been very popular with homebuyers seeking this prime midtown location. The proposed redevelopment of Yonge-Eglinton marks a shift in attitudes towards city planning with a new focus on sustainability and an opportunity for city building that will create new homes and jobs as well as improve the public realm. The implementation of this plan will help to ensure that Yonge-Eglinton remains a vibrant and successful focal point of Toronto. The Armour Heights Community Centre, located at 2141 Avenue Road, offers dance and fitness programs for adults, a tiny tots program, and a children’s after-four program. The Armour Heights public library is located in this community centre. For golf enthusiasts, the Don Valley Golf Course is located just north of York Mills off Yonge Street. This public course is set amongst the beautiful scenery of the Don River Valley. Many residents of this neighbourhood spend their recreational time at the Toronto Cricket Skating and Curling Club located at 141 Wilson Avenue. The Cricket Club is one of Toronto’s premier private clubs. Its facilities include tennis, squash, skating, curling, cricket, croquet, lawn bowling, aerobics, and swimming, as well as a snack bar and dining facilities. Motorists can get downtown to Toronto’s business and entertainment districts via Yonge Street or Avenue Road in approximately twenty-five minutes. For commuters the Yonge Street and the Avenue Road on-ramps to Highway 401 are conveniently located just beyond the north boundary of this neighbourhood. Earl Bales Park is named after Robert Earl Bales a former Reeve (Mayor) of the Township of North York. This park is situated on lands once owned and farmed by his great-grandfather John Bales. In the early 1900’s, after a century as a farm, the land was turned into the York Downs Golf and Country Club. You can still see a few of the old tees and greens as you wander through the park today. This park is also home to one of the two Ski & Snowboard Centres run by the City of Toronto. Recent upgrades to the ski chalet and an addition of a quad chair lift have made for a more enjoyable skiing and snowboarding experience on the hills. Earl Bales is also home to a Dogs Off-Leash Area, playground, picnic sites and fire pits. York Mills pool is TDSB pool located at York Mills Rd. and Bayview Ave. It offers instructional swim programs for all ages. A small park near Avenue Road South of Wilson Avenue that fetures a children’s playground. 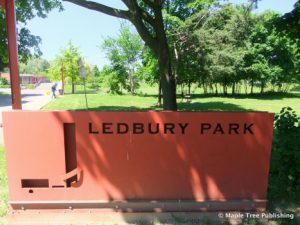 This 1.6 hectare park near Bathurst St. and Lawrence Ave. West features an artificial ice rink, an outdoor pool and a splash pad.